Our family took an Easter weekend break and went to the a family camp in Central Texas with a bunch of other people from my grandma and grandpa’s Quaker Meeting. 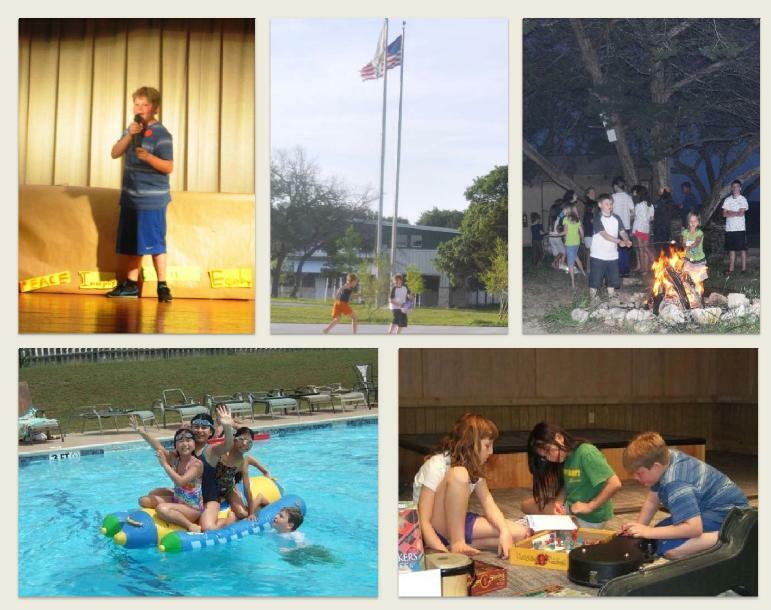 It was fun — there were a lot of kids, and we put on a skit and I juggled at the talent show, and we went swimming and had a campfire and a lot of other stuff. I had just gotten my rolla-bolla on Thursday, and we left for the camp early on Friday morning, so I took it with me so I could practice. I take my juggling balls pretty much everywhere I go. 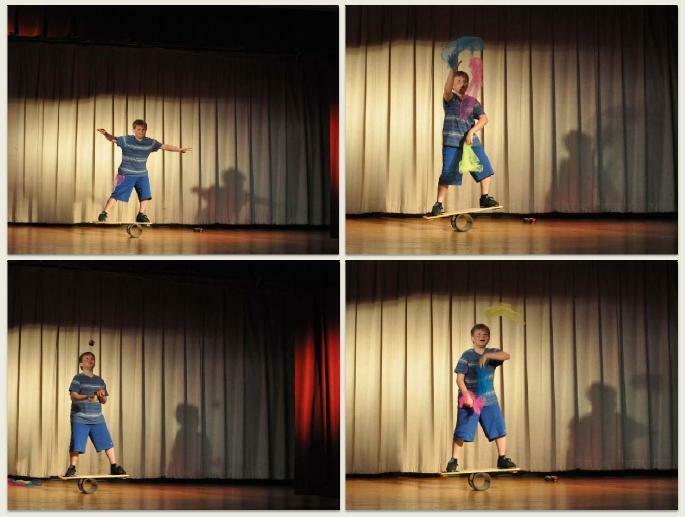 So when I found out there was a talent show, I signed up. There was this NASA scientist who brought a bunch of huge telescopes. 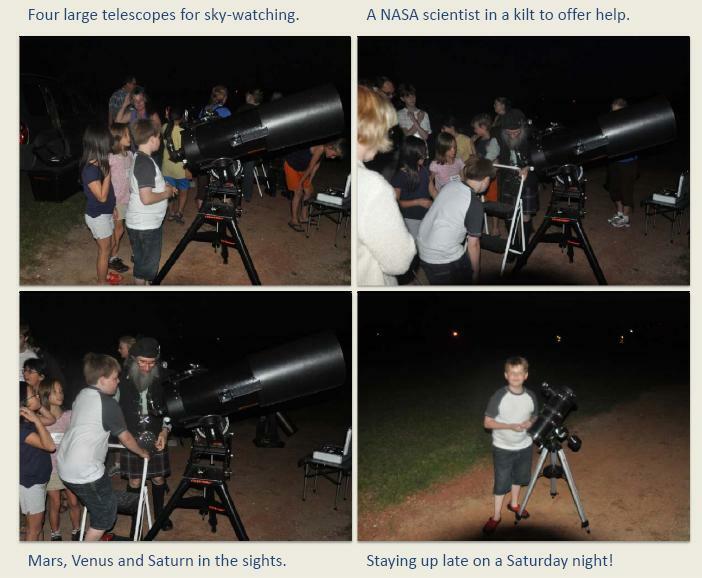 He let all the kids look at the night sky, and showed us what we were looking at. And he was wearing a kilt! 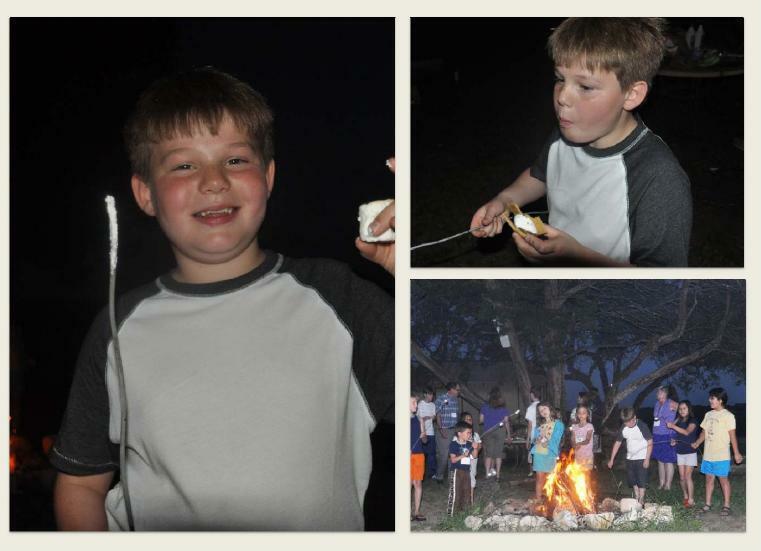 We toasted marshmallows by the fire, too.